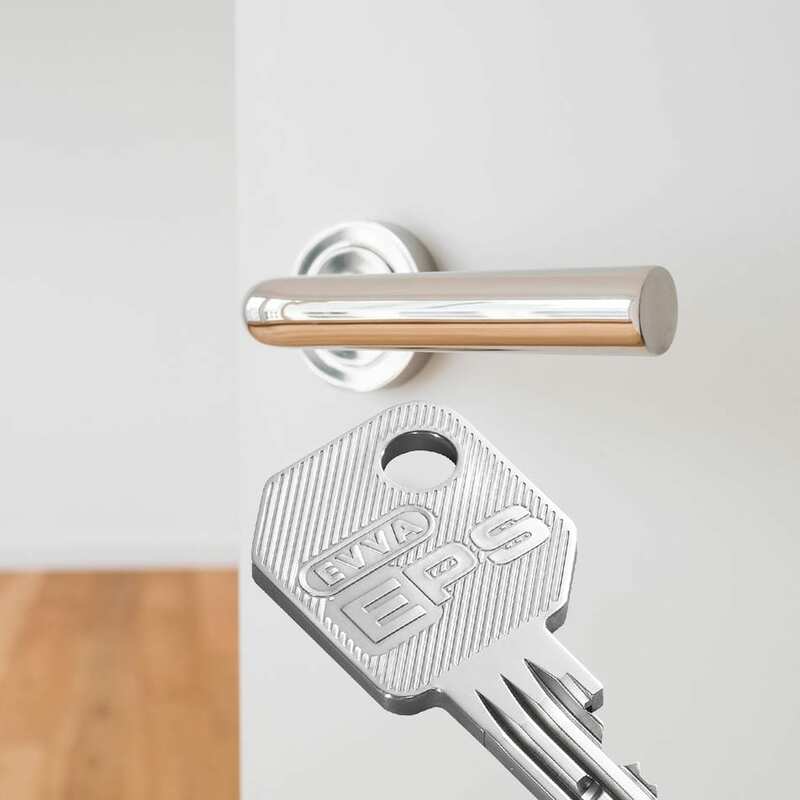 A master key system is designed to manage the restriction of access to particular areas of a building allowing only authorised personnel to enter each space. Newcastle Locksmiths & Security has over 35 years experience in designing, installing and servicing major master key projects. Continually updating with the latest technology in products, key machines and software, we deliver the optimum security choice, custom-tailored for each of our clients. We offer a diverse range of profiles from a simple keyed alike solution to the most complex of master key operations. 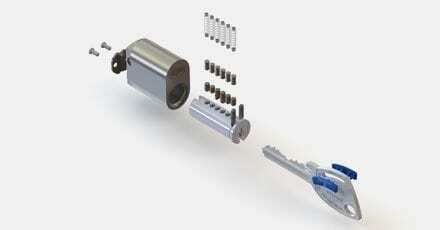 EVVA is a high-quality, patented, mechanical master key system manufactured in Vienna, Austria. 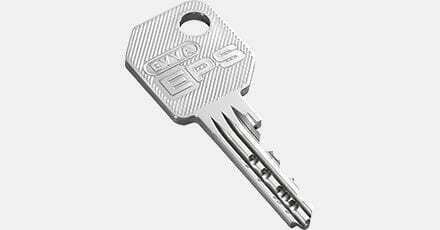 EVVA is only available through locksmiths insuring that EVVA is always installed by fully qualified technicians. EVVA cylinders meet the highest standard for corrosion and fire resistance and have been cycle tested to 100,000 times. They will operate in the most extreme of environments in temperatures as cold as -20 and as hot as 80 degrees Celsius. EVVA has high-security, anti-pick, anti-bump sliders made from Teflon impregnated nickel silver. They are protected by hardened sidebar blocking pins and a key control hook pin. In the front of the cylinder they have hardened steel pins to protect the cylinder against attacks. 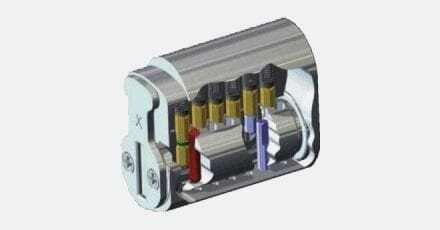 Lockwood Generation Six is a legally protected restricted keying system designed for businesses that require maximum control over access to keys. Without a restricted keying system, keys can be easily duplicated, providing access to your business – its valuables and its records. Lockwood Generation Six protects you from this threat. Dormakaba offers innovative and complete solutions for access control, door openings and security with an extensive selection of products. They have a SCEC endorsement guaranteeing the highest level of secure area use for government facilities. Their cylinders are available in euro profile, oval profile as well as with insert. The Dormakaba system is safe against manipulation, impressing, bumping, drilling, tearing off and vandalism. LK2 is Carbine’s restricted key system which offers high levels of security, flexibility and quality in one complete package. As with the Lockwood Generation Six the LK2 prevents would be thieves from duplicating keys that secure your valuables. The key blanks are restricted to authorised dealers, who are legally prohibited from unauthorised duplication. The key design is protected by Australian and New Zealand law. 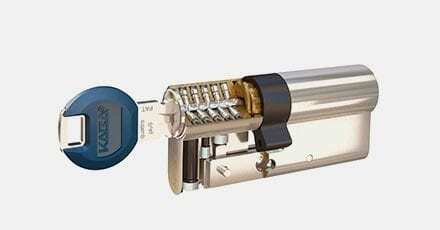 Complete range of cylinders From mortice locks and leversets to deadlatches. ProMaster Key Manager is designed to track who has your keys and which areas the key holder can access, providing the ultimate in effective security. Many of the world’s largest organisations have selected this comprehensive software programme to provide the best in key tracking and management. As with most organisations, key holders usually have varying degrees of security clearance. 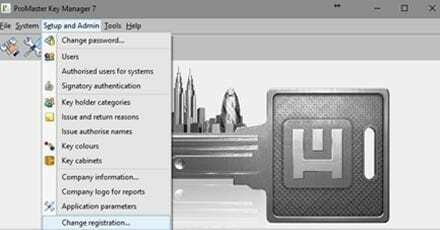 ProMaster Key Manager makes it easy to provide multiple security levels with usernames and passwords for staff to access permitted parts of the programme. You can link directly with Newcastle Locksmiths & Security using the ProMaster Master Keying 7 system via ProMaster Key Manager. This allows you to receive regular updates and to order additional keys by email. An inventory of keys in your control. Who has been issued keys. Where each key can access. Who can access specific doors. Generation of responsibility accepance forms. Compromised doors from lost keys.